New renovations, amazing food, caring staff, air-conditioning, and assisted-independence? 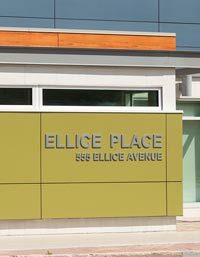 Ellice Place at 555 Ellice Avenue has it all, including vacancies! Read how tenants express their experiences at Ellice Place and how they are finding everyday life since their big moves. Angry Kids & Stressed Out Parents is a CBC Doc Zone episode that follows children and parents enrolled in three groundbreaking interventions. These programs work with parents and kids to help children master the skills they need to do well in life, like self-control and self-regulation. From middle-class kids to children of poverty, we witness young lives transformed, social problems solved, and billions of taxpayer dollars saved. The section on positive parenting programs begins around the 10:30 mark and leads into a Manitoba component that focuses on programming at Lord Selkirk Park which begins at about the 20 minute mark.